Johannes Guthenberg’s revolutionary printing method, first commercially exploited in the 1460’s, had many political, economical and cultural implications. First of all, it helped to spread ideas and information faster and in greater quantity and, secondly, accelerated the production process, which in time made it more affordable to buy books. Prior to this invention, spreading information was limited to handwritten texts and oral messages. The rise of the printing press changed the game for literature, politics, religion, science, and many more. Ideas became more easily accessible but at the same time more vulnerable to criticism. The art of printing enabled people to choose their own right from wrong, or even to develop and spread their own ideas around the world. 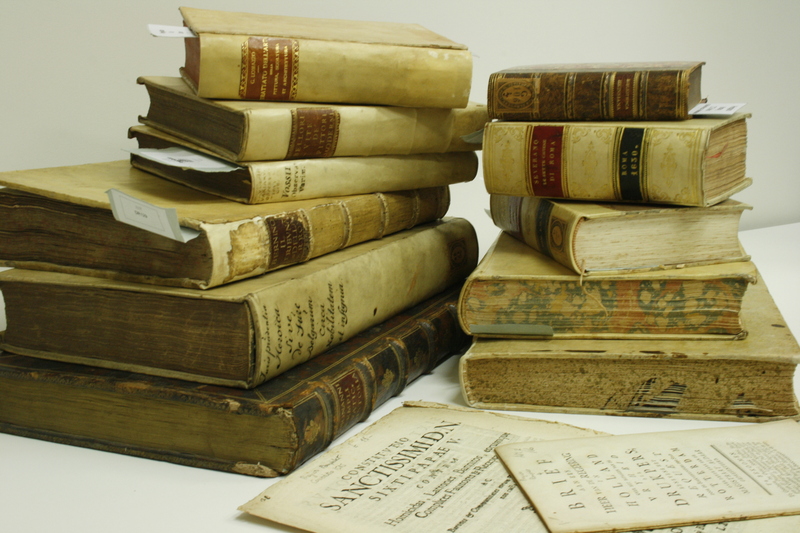 The KNIR library contains many printed works from the sixteenth until the eighteenth century. A group of motivated Dutch students studied several of these works in the period from the 2nd until the 9th of December 2016. Together they created this website, so the treasures of the KNIR library will be accessible for everyone. Copyright © 2016 Koninklijk Nederlands Instituut Rome. All rights reserved.